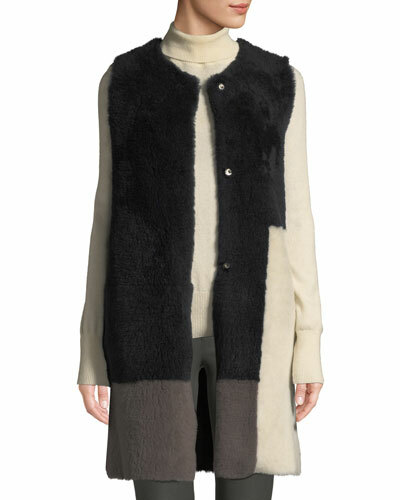 Belle Fare reversible down-fill vest with dyed rex rabbit (Spain) fur. 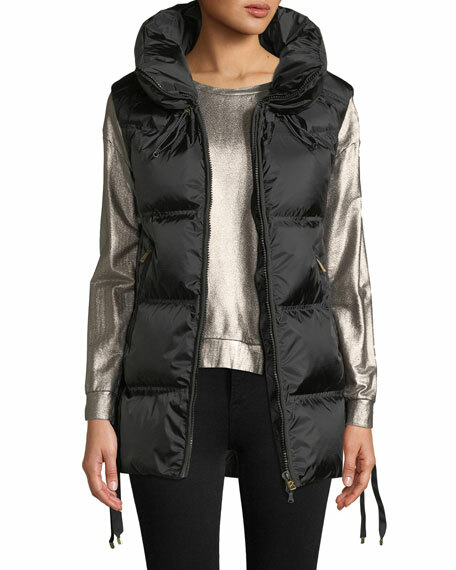 Hooded collar; dyed silver fox (Finland) fur trim. Hidden snap/zip placket. A-line silhouette. Below-hip length. Adjustable, drawcord waistline. 90/10 goose down/feather fill. Polyester outer shell. Dry clean. Imported. 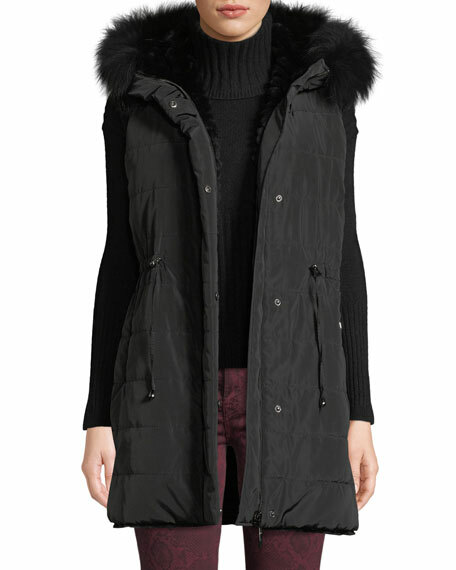 Belle Fare hooded vest with reversible dyed rabbit (Spain) fur. Hooded collar with drawcord. Zipper front. Straight silhouette. Side slip pockets. Below-hip length. 90/10 white goose down/feather fill. Nylon/polyester shell. Dry clean. Imported. Exclusively ours. Belle Fare reversible microfabric and rex rabbit vest. Features dyed rex rabbit (Spain) fur panels in chevron. Round neckline; zipper front. Standard silhouette. Hip-length hem. Polyester shell. Dry clean. Imported.